We took a flight from Istanbul to Nevesehir and the hotel shuttle picked us. 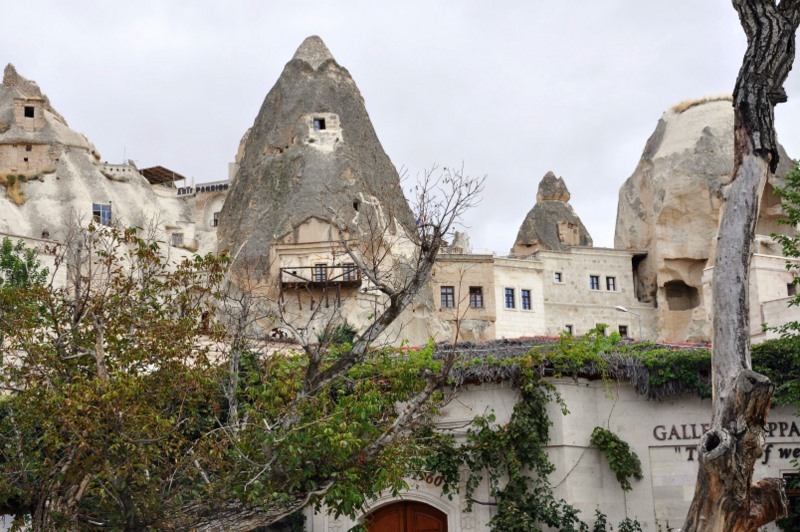 Approaching the town, Goreme, I was perplexed with its rare sight. 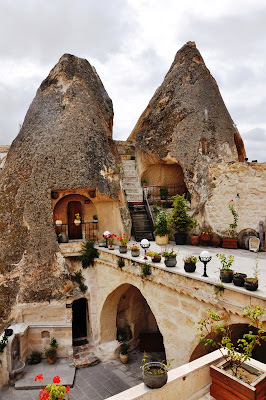 Felt like I was somewhere in another planet or in another dimension of time. 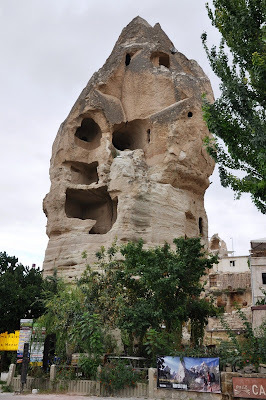 Strange landscapes and “fairy chimney” pinnacles of volcanic rock fill up the town of Goreme. 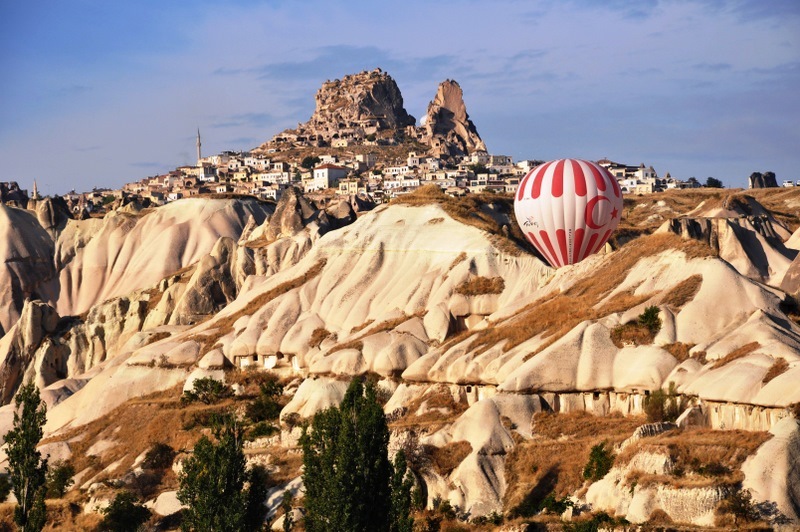 Goreme National Park was added to the UESCO World Heritage list in 1985. 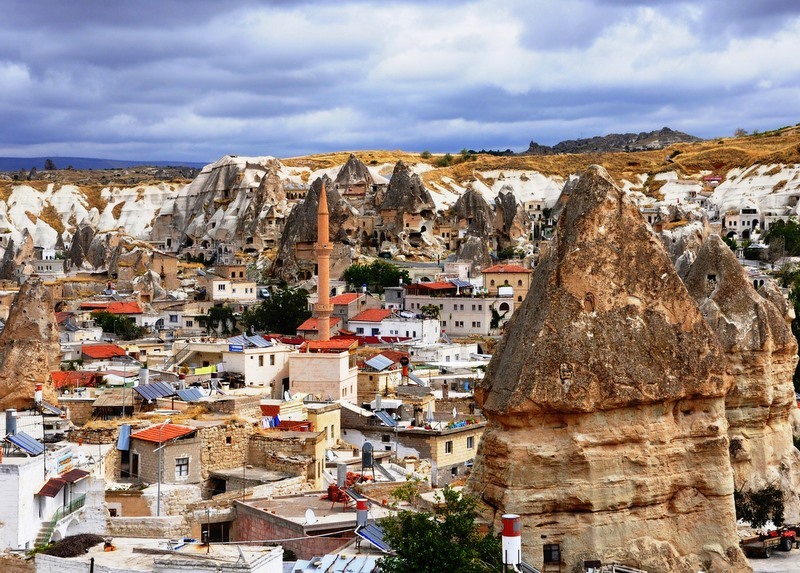 Goreme is a small town in Cappadocia with adequate facilities for tourists; restaurants, bank, ATM machine and cyber café. We stayed at Sultan Caves on Aydinli Hill in Goreme and the scenery from our cave suite was breathtaking. 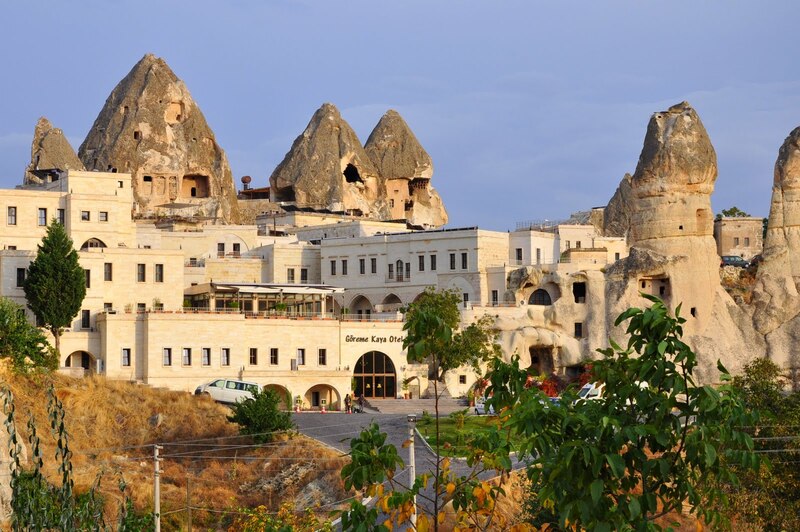 In the evening we would stroll downtown to dine and shop. 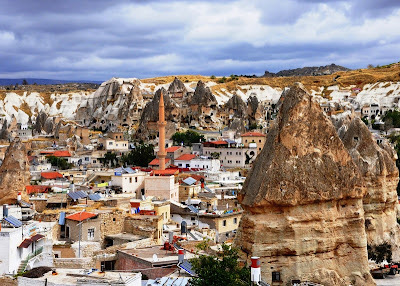 Visiting Goreme in early autumn was just perfect but it can get pretty cold in late autumn.